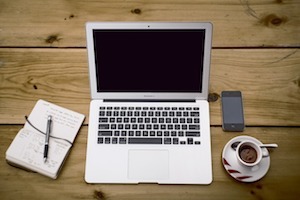 So how do the best writers do it? Take a look. Below are 12 techniques used by famous writers to keep readers from grabbing a bookmark and turning out the light. Lastly, if you’re looking for a general way to end a whole book or story, I would suggest reading my post on writing the perfect ending. But today, we’re just looking at how to end a chapter. What’s happened in this first chapter is that terrorists have stormed a concert hall and taken everyone hostage. So the ending of this chapter focuses on the main shift in this chapter: From song to sirens. From music to wailing. It’s a cliffhanger because now that the police have arrived, the reader wants to see what will happen between police and the terrorists. But what makes it graceful? Patchett doesn’t mention the word police. That’s a small subtlety, but it’s important. We just get the sense of the authorities arriving, and of the impending standoff. 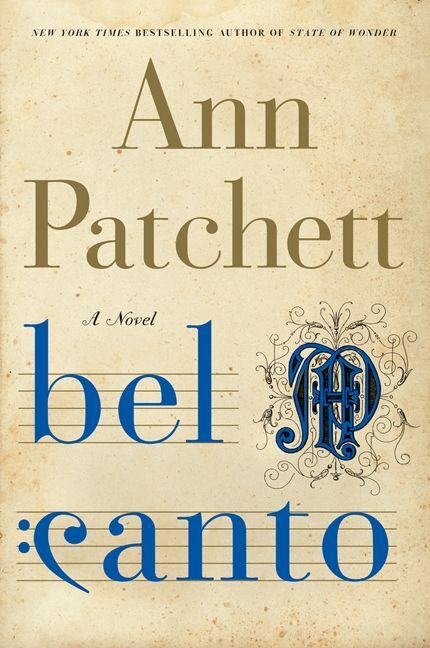 Instead of focusing on the faces of police and the bodies of the hostages, Patchett chooses instead to focus only on sound. Sound is a metaphor that stands in for the police and hostages. 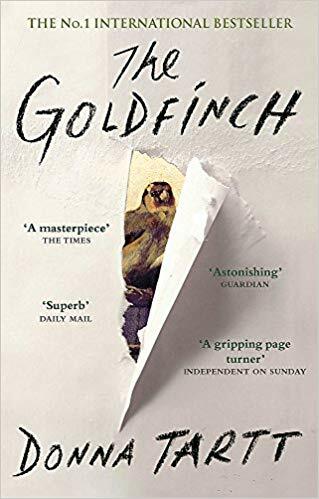 And here’s why it’s important to have a graceful cliffhanger: I read far too many cliffhanger endings that deliberately manipulate the reader and I can see all the scaffolding of the author. 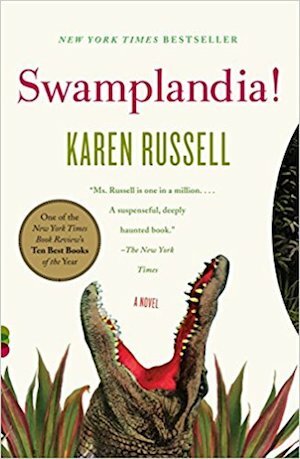 Bad example of a cliffhanger: “And then she knew the identity of the criminal.” When I read this chapter ending, I’m thinking a lot more of the author’s technique than I am of the actual storyline. I know I’m being manipulated to turn the page. Do I turn the page? Well, probably. Cliffhangers are effective. But I’m taken out of the story. The perfect cliffhanger is one in which the reader doesn’t even consciously realize they’ve been cliffhung (let’s pretend that’s a word). If you do write cliffhangers, go through your manuscript and look for ways to softpedal it so the reader feels just the same amount of tension, yet they aren’t aware of what you’re doing. The best writer is a magician, making the reader feel the power of the trick but preventing them from noticing the sleight of hand. This technique is very simple. Ask a question to end your chapter. What a perfect way to drive the reader to continue! Who doesn’t want to know the answer to a question? Jun Do has recently lied to an interrogator saying that his Second Mate died from a shark attack rather than defected from North Korea. And what’s more, the interrogator knows that he’s lying, and he doesn’t even care. And Jun Do is in despair because he wants to believe something can be true, that there is truth. He almost wants to be punished. These questions are reinforcing a central theme through the book: that in North Korea, there are no facts or answers, there is only the best story. And this is disorienting for Jun Do — he really wants answers! He really wants truth! So consider the ending of each of your chapters: What is the central theme of your book, and is there some way that you can touch on it at the end of some chapters? And if necessary, use a question. It’s paradoxical, but your endings should be beginnings. In other words, don’t divide your chapters so that the end of the chapter concludes something and something begins in the next chapter. Put a beginning at the end of the chapter. Wow! Truly portentous. What a statement: “my life, as I knew it, was over.” The reader knows this is momentous. So as a technique, have someone/something arrive at the end of your chapter. Arrivals are always a wonderful technique to compel the reader to continue reading. And as a secondary idea, try to emphasize to the reader that this is a watershed event in your book. Everything that comes after this point will be different. Ouch, you say. John, are you serious about ending a chapter with description? That seems so … lackluster. Or you might be thinking it’s boring. But yes, I’m serious. And here’s how to do description well at the end of a chapter. 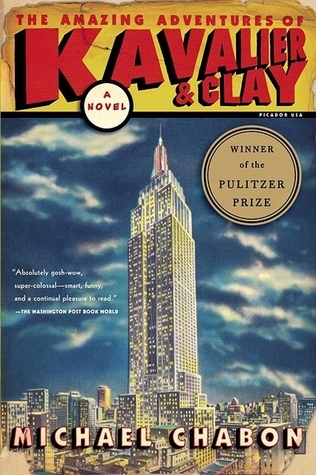 Here’s a mystery: Why didn’t Doerr end the chapter on the exciting parts? Why didn’t he end on small-arms fire or snare drums of flak? Because he wanted to contrast nature with the violence of war. This calm image of pigeons flying is an excellent contrast to the bombs that will soon arrive. And because the pigeons fleeing are really a metaphor for all living things trying to escape this town. Once again, metaphor is a great way to end a chapter! See, as long as you use description in contrast to other parts of the story, the description takes on meaning and purpose. Now, she’s not stopping in the middle of anything or foreshadowing anything specific. The narrator is just saying she has no idea what’s going to happen. She’s saying the future is a mystery, and just by saying that, the reader wants to find out that mystery. But there’s a sense that whatever it is, it’s so crazy that she can’t even imagine it! Admit it, you’re a little curious to see what happens to this alligator-wrestling theme park. 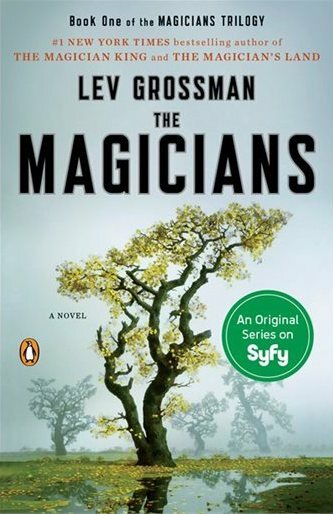 In the first chapter of Lev Grossman’s The Magicians, Quentin has just been magically transported from Brooklyn to somewhere else, and he’s not sure where. It’s a surprising bit of information that concludes the chapter on a high note. But it’s also less surprising that it could have been, since the reader had been thinking perhaps Quentin had been transported out of this universe entirely. The next chapter picks up exactly where this one left off, so remember this technique: you can split a single scene into two chapters. 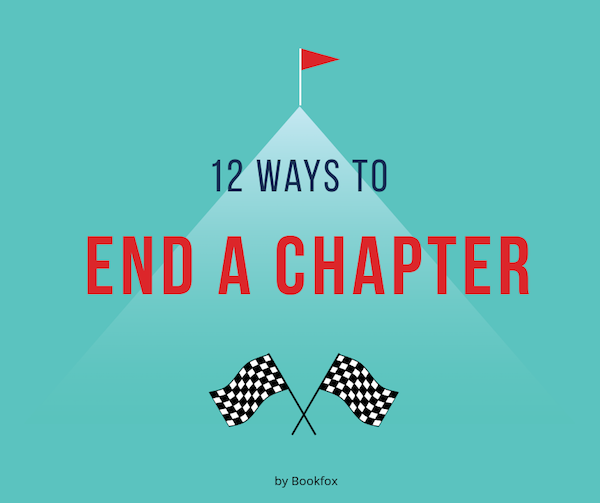 Chapters don’t have to end at the conclusion of a scene. They can end at the beginning of the next scene. And in general, if you study the end of chapters, you’re going to find an overwhelming percentage end on dialogue. That’s because dialogue is always a special part of the narrative — the words are in dialogue because they’re important enough to be put in dialogue, rather than being summarized. Look for dialogue in your fiction that reveals important information, and consider ending a chapter right there. 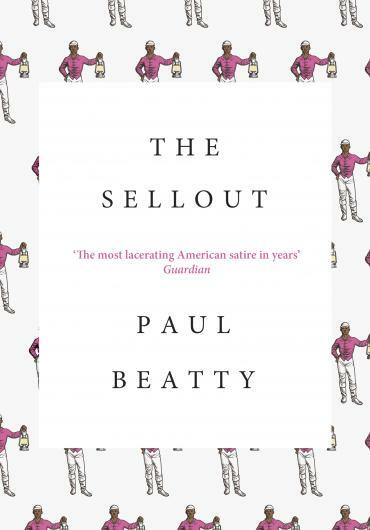 I swear I don’t know how to summarize Paul Beatty’s The Sellout. It’s too crazy. Basically, a young black man decides to bring back segregation and slavery, and goes all the way to the Supreme Court to have his case heard. 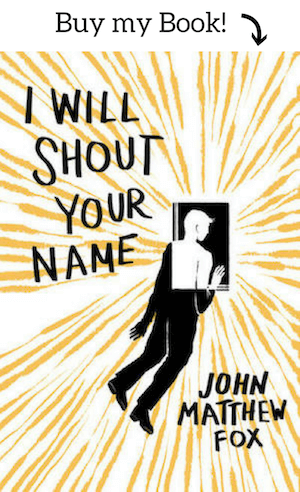 It’s a comedy, but the most offensive and oddball comedy you’ve ever read. If you can imagine a Supreme Court Justice yelling this and it tickles your funny bone, you are going to find the rest of this book hilarious. So what do we learn from this? First, surprising dialogue is a great way to end a chapter. Second, humor is just as effective as plot to get the reader to keep reading. If you can make a reader laugh at the end of the chapter, they will turn the page just as quickly as if you created a killer cliffhanger that made them hunger for the plot. Which is really important to remember — humor is under-rated as a chapter-ending strategy. Because when you make a reader feel something very strongly, they crave more of that emotion. You create a feedback loop, where they hunger for more of what you’re serving. 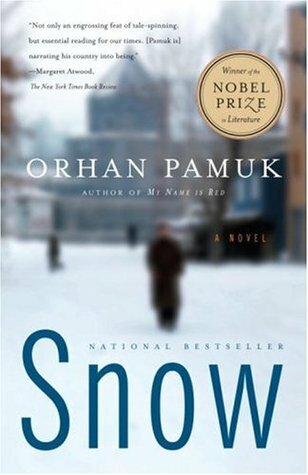 This is a book called Snow, where the weather is frequently snowing, where our protagonist writes a poem called “Snow,” and snow has a metaphorical meaning–snow is what isolates this city, and Pamuk is treating snow as a metaphor for God. Also, the name of the town where the story takes place (“Kars”) means snow. Are you detecting a theme here? Call me Captain Obvious, but snow might be important in this book. Don’t be tricked into thinking every chapter ending has to be a cliffhanger! That kind of repetition gets tiring, and just like taking drugs, you start to need heavier and heavier doses to create the same effect. Sometimes you need a quiet chapter ending. An atmospheric chapter ending. A man watching the snow. Now, this only works because the chapter has set into motion all the storyline, so this ending works as a respite from all that action, a moment of quiet before the storm of the rest of the book. But it’s also working because it’s telling the reader once again (in case they missed it), that snow is important in this book. Lastly, I think it’s powerful because it’s referencing the most famous short story ending in literature, James Joyce’s The Dead, which ends with a man watching snow fall at bedtime. Remember that you’re never writing in a vacuum — your story always take place inside the great pantheon of fiction, and it’s resonating with other stories. Take advantage of possible resonances. But wisdom is a crucial ingredient in all great books. The greatest books, especially ones written in the 3rd person, are strewn through and through with nuggets of wisdom. (it’s less frequent in 1st person, because sometimes the narrator is a knucklehead). In a book all about magic and magicians, how powerful for the character to say that they finally recognized the true nature of magic! And how powerful to talk about how true magic was making things seem as if they’d never existed. Because our narrator had recently lost something very important — a pale-blue envelope from Prague, one that he hadn’t opened but contained a very important message. So not only is this wise statement trying to teach us something about the world, it’s also commenting on the plot. And it’s also saying that only in magic do broken things heal. In the real world, things disappear and never are found again. It’s a profound statement about the nature of the world and the sadness of loss. 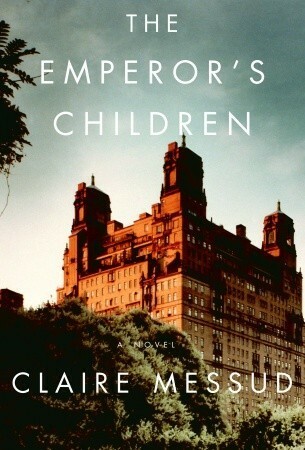 I remember Claire Messud’s The Emperor’s Children very well because it created a splendid four-hour discussion in my book club (our group of 5 guys have been meeting for more than a decade). We argued almost the whole time about how to interpret these characters. So it makes sense that such a character-centric book would end each chapter on its characters. 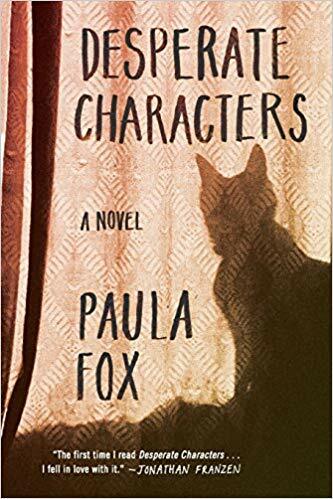 In reading through the book, just focusing on each chapter alone, I noticed that virtually every chapter ends not with some kind of plot momentum, but with the deepening of character. This is such a small movement in her, but it’s definitely a change. She’s warming up to him. She’s pondering what exactly he’s promising her. And she’s thinking about next time already. How does this work as a chapter ending? Because character change is just as important to the reader as plot development. In fact, in this book, character change is how most of the plot advances. It’s very satisfying for a reader to see the forward movement of a person, and curiosity about how this change will affect other characters propels the reader to turn the page. If you have a huge shift in a character’s ideas or perspectives, or even better yet, a character makes a huge decision, that’s always an excellent place to end a chapter. This excellent line of dialogue is doing so much heavy lifting, and it’s all subtext. It’s telling you about the husband/wife estrangement — she’s telling him not to get too close. It tells you that the husband’s the type of guy who doesn’t want to get too dirty. It foreshadows spilled ink in the final chapter of the novel. The cat’s blood is also a symbol of the outsider/lower class, and she knows her husband doesn’t want to come in contact with that. This fantastic chapter ending not only reinforces all the subtext inside this novel, it also propels the rest of the book forward. After all this advice, I’m going to tell you something completely counter-intuitive: don’t overthink it. Look, all the techniques above are excellent. But sometimes, just make an obvious choice for where to end your chapter. Don’t try something gimmicky to manipulate the reader. End at a natural stopping point. Choose the technique celebrated by Murakami, the most boring technique of all time to end a chapter: falling asleep. Well, that seems like a natural stopping point. Huh. Not exactly a cliffhanger, is it? Jeez, lots of falling asleep in this novel! Oh, this chapter ending really changes it up by talking about not sleeping. What? What? What? How is he even pulling this off time and time again? 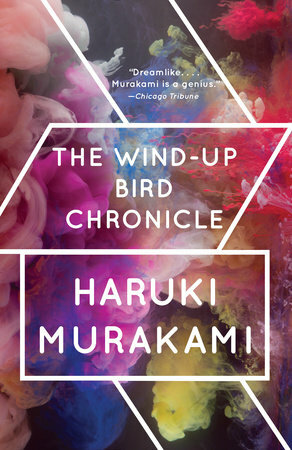 Are you kidding me, Murakami? How many chapters are going to end with sleeping? Is this some kind of joke on the reader? How does he make me keep reading? How is he doing this? How can he get away with ending so many chapters with sleep and still create compulsively readable books enjoyed by millions! And here’s the thing: that’s not even all the examples in this novel. I had to stop collecting them because I had so many. 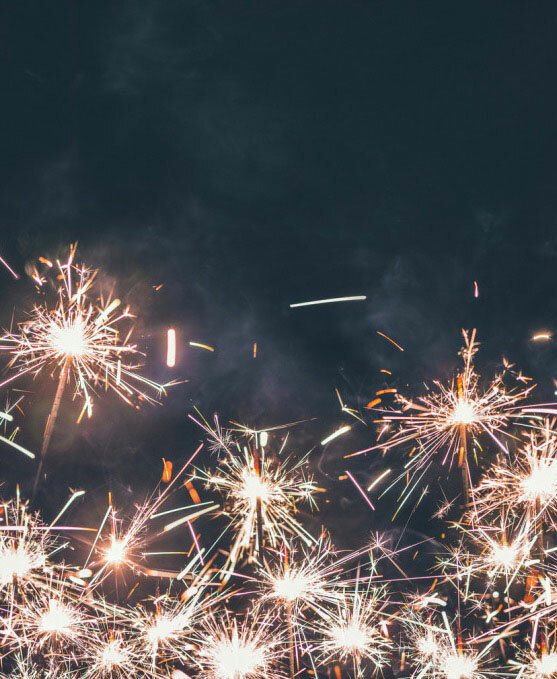 Here’s the truth: if your chapters are filled with excitement, you don’t always have to end on an exciting note. In fact, you can end your chapters in a similar way and somehow (at least if you’re good enough) your readers won’t get bored and they will still keep reading. And what’s more, by ending so many of his chapters in a similar way, he’s creating this unity throughout the book. 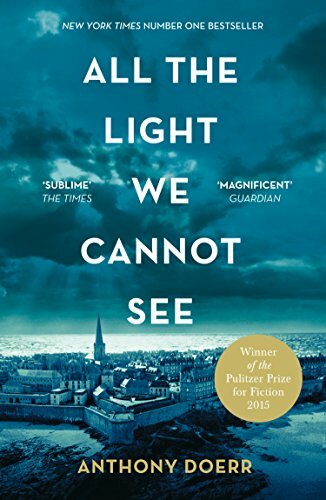 It gives the book an identity, a structural unity that helps pull the book together. What’s more, in a book about meditating at the bottom of a well, falling asleep is not just falling asleep — it’s about falling into a different state of consciousness in order to discover secrets about oneself and the world. Sleeping is a kind of transformative act. 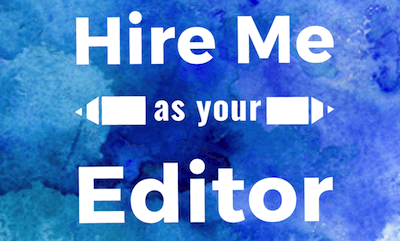 Go through your manuscript and take out the last paragraph or line from each chapter, and put them all in a new file. Then start to name them, using the techniques here. If you have a technique not listed here, but think you can still identity what you’re doing, then write it down. 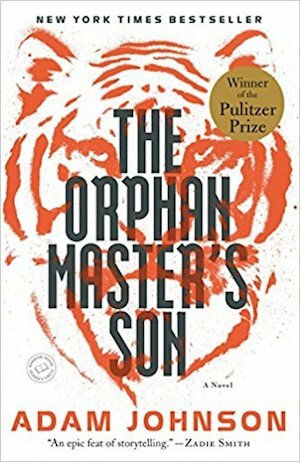 Is there a chapter ending you can’t label with a technique? That might be one ripe for revision. Pick out your favorite book and write down the chapter endings for every single chapter. How do they keep you reading? Where are they choosing to end their chapters? What is their most effective technique? Have a Chapter Ending party. Get together with your writing group and everyone brings their chapter endings. Study them together. Critique each other’s endings. See if you can come up with additional ideas. Have you discovered any techniques that I didn’t list on this page? Be a good writer and support the community — please add them in the comments below so other writers can benefit. This is such a great post! As I scrolled down, I was like “My favorite book! My other favorite book!! Another great post! I’m really considering putting these chapter ending techniques to use. Endings are so important to the continuity within a story…if you know what I mean. Thank you very much for making it smiley and demistyfying. I immediately went right to my first chapter and re-wrote it after reading the first two points! This is an EXCELLENT analysis of plot endings. The examples are superb illustrations of each point. I love the numbering and the headings. I thought, “I should just read this over and over every night until I have it almost memorized. I don’t know why I thought it would be helpful to do that. It’s just an intuitive sense I had that I should! I searched google with these terms: “how to make an exciting end to a chapter” (thought that might be helpful for you to know for some reason). Thank you again. Truly! I’m going to be using this all through my rewrites.